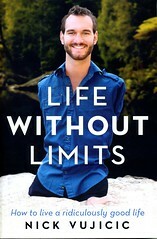 Life Without Limits is the story of 28 year old Nick Vujicic born without arms or legs who has become an internationally successful inspirational speaker. He has also learnt to surf, skateboard and dive. When Nick was born without arms and legs his parents thought there was no future for him and he would never live a productive life. They have found however that his disability offers unique opportunities to reach out to others, understanding their pain as well as encouraging and inspiring them.Nick shares with the reader the helpful lessons he has learned facing the many challenges life has presented him with. Attributes he needed included a powerful sense of purpose, faith in God, self-acceptance and a willingness to change. Instead of being angry and resentful over his disabilities Nick has learnt to be thankful for the blessings he has. Nick not only shares his own experiences but also inspirational stories from people he has met. This is a truly inspiring book told with a zest for life that is infectious. 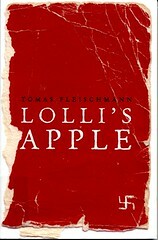 It challenges the reader to live a life without limits. When Nicole was pregnant with Sam she was told he had a serious heart condition called Hypoplastic Left Heart Syndrome. To survive he would need surgery within the first 72 hours of his life. The family had to relocate to Melbourne for this operation and a second operation about three months later. This book is an honest account of how the family, including their two year old son Jack, coped with the trauma of a very sick baby. It is also a story of how their faith sustained them and how miracles occurred. During this time Nicole wrote a blog to keep family and friends informed. This is reproduced in the book so we can empathise with her anxiety, her relief and her dependence on God as each crisis occurs. Following most blog entries Nicole adds a comment written after Sam has become a healthy two year old. This is a story of hope, trust in God’s promises and thanksgiving for prayers answered that is an encouragement to all who face life’s challenges. Malcolm Dunjey has worked as a doctor in Papua New Guinea, Bangladesh, Pakistan, Yemen and the Northern Territory. In every place he has had adventures which are often scary. In New Guinea, in a jungle camp in cannibal country, he woke to find the guards were asleep, and therefore his patrol was in danger of attack. In Yemen, on a field trip in kidnap territory, they encountered a group of armed tribesmen manning a roadblock. In every country the reader is given a description of the people, the place and the pleasures and difficulties the author and his family encountered. There are crocodiles and cannibals in New Guinea, famine in Bangladesh, refugees in the North West Frontier Province of Pakistan. Malcolm also talks about issues such as missionaries versus anthropologists in Papua New Guinea, Aboriginal deprivation in Australia and the looming population explosion in Yemen. 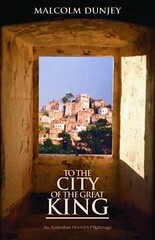 The author explores the nature of mission and its role in the development of different countries. He also speaks of his own pilgrimage from a teenager to a retired doctor and minister. This book is worth reading not only to learn about many exotic places, but also for the thoughtful insights of someone who has lived and worked in many different cultures. Heart of Stone by Hoa van Stone. This is a true story of struggle and survival. Hoa was placed in a Vietnamese orphanage as a baby. Not only did he become crippled with polio but due to the war he was malnourished and diseased. 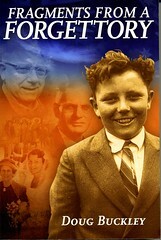 Even after he was adopted by an Adelaide family when he was eight years old life was difficult. He had to face a painful operation, his brother died from asthma, and due to his disability and Asian background he found it hard to fit in with Australian teenagers. Eventually he turned to drink and drugs, and spiralled into dealing and addiction. Hoa’s life was radically transformed when he called on God for help. Even after he became a Christian he still faced many difficulties in studying at a theological college in Adelaide, coping with life with a disability in Vietnam, and learning the Vietnamese language so that he could help disabled children. 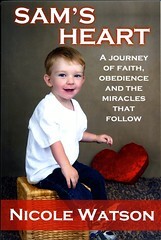 This book offers hope and encouragement to others who are struggling. Fragments from a Forgettory by Doug Buckley. In this book Doug Buckley shares reflections from his remarkable life. Descended from seven and a half convicts he has lectured in engineering at Universities in Japan, England, America and Australia. As a senior member of the New South Wales public service he was involved in planning the state railways and solving road traffic problems. In an insightful look at politics he writes frankly about New South Wales and Commonwealth politicians. While his concern for the underdog and his Christian commitment are evident throughout the book he speaks of his own spiritual journey and his discovery that “the truth of Christ, if heard and faced, discomforts the comfortable almost as often as it comforts the discomforted”. The book is full of humour and the author frequently laughs at himself. It is an entertaining and thoughtful book which I can recommend. 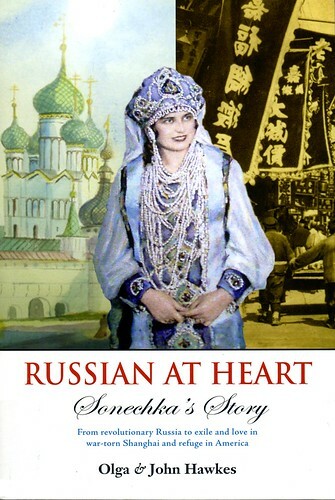 Russian at Heart: Sonechka’s Story by Olga and John Hawkes. Sonechka’s story was written by her daughter, Olga, and her husband based on her mother’s memoirs written in Russia and Shanghai. Sonechka’s happy childhood ended with the death of both parents. Forced to work for Lenin’s secret police she experience the terror, the killings and the hunger brought about by the Russian Revolution. In June 1924, 19 year old Sonechka fled Moscow alone on the trans-Siberian Express. Due to new American immigration laws she was unable to join her brother in America and became one of 30,000 White Russian exiles in Shanghai. Sonechka’s faith in God gave her courage to make hard decisions and face the daily grind of surviving and feeding her family when the Japanese conquered Shanghai. This biography gives insight into what it is like to be a member of a despised minority living in fear and poverty. Soon after the death of her beloved husband Sonechka had to face many challenges against a hostile bureaucracy so that she and her daughters could fulfil her dream of reaching America. Sonechka’s courage, her resourcefulness and her faith in God make this an inspirational book. 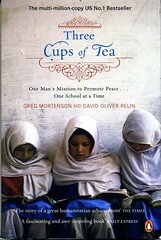 Three Cups of Tea: One Man’s Extraordinary Journey to Promote Peace ..One School at a Time by Greg Mortenson and David Oliver Relin. In 1993, after a terrifying and disastrous attempt to climb K2 , a mountaineer called Greg Mortenson drifted cold and dehydrated into an impoverished Pakistan village in the Karakoram Mountains. To repay the villagers’ kindness to him he promised to return and build a school. At that time the children learnt their lessons in the open, kneeling on the frosty ground. For half the time they did not have a teacher. To achieve his aim Mortenson had to overcome many obstacles. As an unknown individual he found it difficult to raise money in America. He had to transport the building materials up dangerous roads. When he finally returned to the village they told him he had to first build a bridge across the dangerous ravine. Wars, prejudice and cultural barriers were other obstacles he had to face. By 2006 he had built fifty five schools in remote villages in Pakistan and Afghanistan. 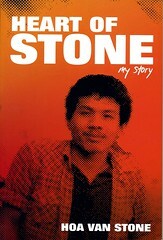 This is an inspiring book which shows the difference one person can make to promote peace. A frightened six year old arrives at the country place of the Sutherland Homes for neglected children near Melbourne. The author describes his eleven years at the home. Despite his lack of a family, the unappetizing food and second hand clothing, he and the other boys have a real zest for life and appreciate the good things that come their way. The silver poplar is a symbol of hope and stability. As a teenager the author finds God and later, with the help of his wife, he is able to discover members of his family and the story behind his abandonment. This book delves into the issues of abandonment, adoption and fostering of children but it is an inspiring story which ends on a note of hope. “Your son can’t look you in the eye but does that make him guilty”. Emma Hunt has a son with Asperger’s Syndrome. Jacob is brilliant at mathematics but he is hopeless at reading social cues and he has a very different view of conversation. Not only does he find it hard to express himself to others but routines are very important to him and he reacts strongly when they are disrupted. 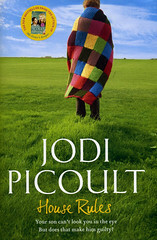 This is a novel about being different and how this difference affects his family especially his mother and his brother. “House rules” shows us the longing of a teenager to be like other people and his inability to connect with others. It also shows us that people judge others who are different. The family of people with Asperger’s Syndrome often need love and loyalty to help each other to cope not only with the sufferers’ unusual behaviour but also the reaction of others to it. After reading this novel we will have more compassion for those who are different. Through a busy career as educator and educational administrator Hedley Beare, Professor Emeritus of Education at the University of Melbourne, has maintained an active involvement in Congregational, Methodist, Uniting and Anglican churches in Australia and overseas. His wide reading in theology is evident in this handbook on prayer. He quotes widely from the church fathers and from modern theologians and clearly has a soft spot for Celtic spirituality. First he reviews the changing perceptions of the nature of the Divine, God, the ever-present ” I AM”, for these perceptions will influence the way we pray. When prayer “is no longer a pleading to a ‘ God out there’, but rather an answering to a call to be open to the depths of life….things do happen”. He talks much about God in the present moment and challenges us to live a life in which ordinary time (chronos) becomes significant time (kairos). He considers the Holy Spirit as “creative energy” and prayer as energy exchange. 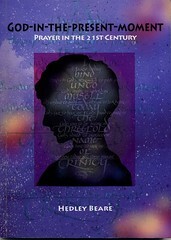 There are many suggestions on how to pray, as the author aims to make this a practical aid to prayer. He emphasises that prayer is “regular, disciplined…work” and he suggests principles by which we can judge our prayer practice. Some of his guidelines are clearly from his own life experiences; others are drawn from the writings of others. Many readers will find God-in-the-present-moment a helpful synthesis of thought from modern theologians and philosophers and from many not so modern. Maybe it is at times too heavily loaded with quotations from them. It becomes, increasingly in the later chapters, a challenge to a more active and meaningful prayer life. * Some Blackwood people will remember Hedley and his wife, Lyn, as members of the Blackwood Methodist Circuit in the 1960s. 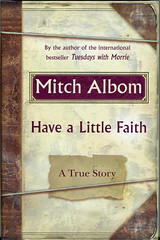 Mitch Albom, the author of the best selling book “Tuesdays with Morrie”, was asked by the 82 year old Rabbi from his home town to write his eulogy. This book is about that Rabbi and a Detroit pastor who is a reformed drug addict and convict. Mitch knew the Rabbi as a public figure. His sermons were gripping performances. He would tell stories, quote from the bible, Shakespeare and sing in English, Hebrew or Italian. He knew how to inspire his congregation. To write a fitting eulogy Mitch started visiting the Rabbi. Their talks covered many topics, including getting old, how to endure when tough times happen, other faiths, forgiveness and marriage. The Rabbi had wise words to say about each. The Detroit pastor, who is a reformed drug dealer preaches and gives food and shelter to the poor and homeless in a large dilapidated church with a hole in the roof. From him Mitch learns about love and faith. This book is a beautifully written story about losing faith and finding it again and the story of the two men will inspire all who read it. 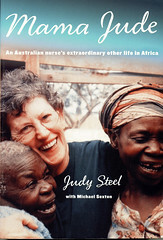 At the age of 57 after a nursing career, the last part of which was at Resthaven, Judy Steel found herself in the slums of Uganda. After a dream and other spiritual experiences she felt that God was leading her to work with the poor children of that country. Judy went back to Uganda seven times. Not only were the people desperately poor but, due to AIDS, the very old were often caring for the very young. The drugs which extend life and ease the pain of HIV in other parts of the world are not available or are very expensive in Uganda. Judy became friendly with an Ugandan doctor who was building a hospital with his own money. With support from the Westbourne Park and Port Elliot Uniting Church Congregations and other generous Australians two shipping containers packed with hospital equipment and medical supplies were sent over to Uganda. After they were emptied, the first container became a primary health clinic and the second a rehabilitation centre for physiotherapy. Judy has set up a charitable organization that helped establish a hospital and maternal health clinic, a physiotherapy clinic, literacy school, and micro-loan bank. It is evident from the book that she is much loved by the people and she returns that love. Judy introduces us to many of the colorful fun-loving people as well as telling us lots of tragic stories. There are photos of some of the children, the widows and the young people whose stories are told. This book is inspiring as it shows how one person can change many people’s lives. The fact that she lives locally makes it even more interesting. If you would like to learn more about Judy’s project in Uganda, please visit the Uganda Australian Christian Outreach website – you will be inspired. 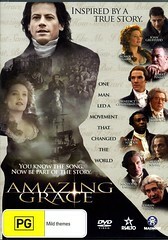 Amazing grace is the incredible true story of William Wilberforce who tirelessly led the campaign to abolish slavery in Britain. At a time when the slave trade was not only seen as acceptable but as necessary for the economy, Wilberforce and his fellow abolitionists dared to speak out against a massive injustice, fighting long and hard for the freedom of others. In this film John Newton who was a former slave ship captain and the author of the hymn “Amazing Grace” convinces Wilberforce who is contemplating devoting his life to be a clergyman or a monk to take up the cause of antislavery in parliament. Not only does he have to battle against powerful politicians and wealthy traders but his own ill health. In 1807 the first antislavery bill was passed in the English parliament. This DVD is worth seeing because it shows a man of true courage standing firm against cruelty and injustice and also how one man can change the world. C.S. Lewis is considered by many to be the greatest Christian writer of the 20th Century. He has written 38 books none of which have ever been out of print. In this DVD we learn about the devastating loss of his mother when he was nine years old and the impact that World War I had upon his faith. When he was teaching at Oxford University, he and J.R.R. Tolkien formed the “Inklings” where they discussed their writings. One night, walking and talking with Tolkien, his life changed forever when he realised that what he had considered to be myths were instead the truth and he became a Christian. Later he married Joy Gresham (Davidman) and then fell in love with her. I enjoyed seeing the beautiful English countryside and hearing the interviews with the world-renowned Lewis scholars. One of them said that C.S. Lewis had profound things to say and said them well. 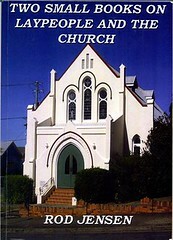 His writings are inclusive and he is read by non Christians as well as Christians of all denominations. 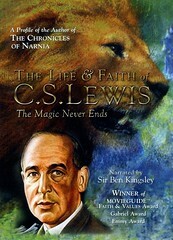 Besides his well known children’s fantasy books, The Chronicles of Narnia, he wrote satire such as The Screwtape Letters, apologetic works such as Mere Christianity and his memoirs Surprised by Joy. This book begins, “Something new is afoot in Christianity.” The journey through this book’s ideas is challenging and refreshing. Chapters include: “Bible: Negotiating the heritage”, “Christ: Overturning the categories”, “God: exploring the depths”, “Humanity: continuing the creation”’ and “Rightly mixing religion with politics”. The author writes that the incarnate God is experienced as guide, as presence and as mystery. A helpful feature of the book is the “Points for reflection” at the end of each chapter. Click this link to visit The Center for Progressive Christianity website. Dinah, the heroine in this novel, is only mentioned in a few verses in Genesis. She is the daughter of Jacob and Leah, but in fact she has four mothers – Leah, Zilpah, Rachel and Bilhah – the four wives of Jacob. 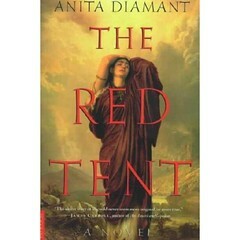 Told in Dinah’s voice, this novel reveals much of the ordinary life and hardships of ancient womanhood – the world of the red tent. 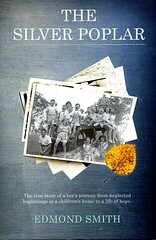 Each of the mothers tell Dinah their own story as they cooked, spun and weaved and looked after Dinah’s many brothers. Their love and wisdom sustain Dinah when she lives in a foreign land. I enjoyed the strong female characters in this novel and the story of Dinah’s life. 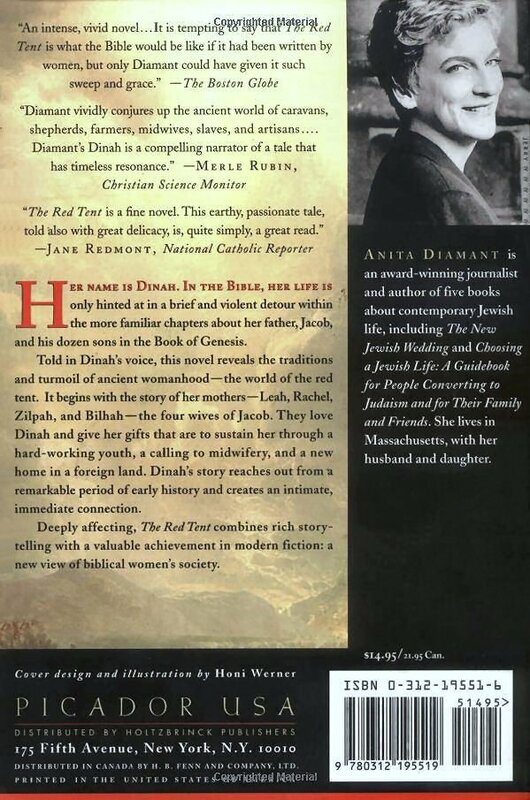 Click here to see the “blurb” on the back cover of The Red Tent. Click on this link to visit Anita Diamant’s own website. Like many others, Val Webb was troubled by her doubts and then she realized that it was time to accept them as creative nudges and learn to celebrate them. 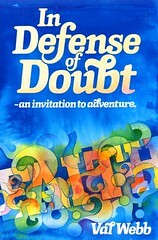 She came to see doubt as a gift and an opportunity to grow in faith. The book is enriched by great metaphors and quotations from many authors. On page 86 she tells how James Fowler, in his book Stages of faith identifies six stages (or paradigms) observed in individual life journeys. This book is recommended because it gives the reader the freedom to doubt. Why are people leaving the church and why are most of those who remain older rather than younger? Jensen writes about the relevance of the today’s churches and summaries some of the evidence from research and “expert” opinion on the lay exodus from the church. He then gives a vision of the church of the future. 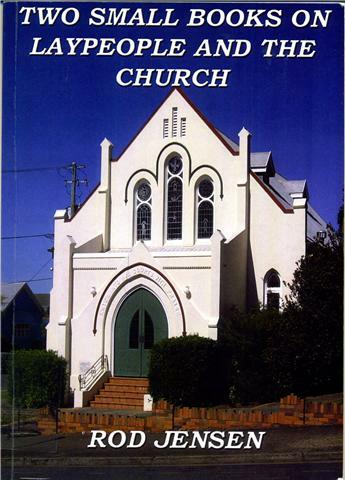 Book two gives a rare insight into the place of the laypeople in churches from the early church till today. These books, amongst many other thought-provoking books, can be found in the BUC Library. Please feel free to ‘Check It Out’!